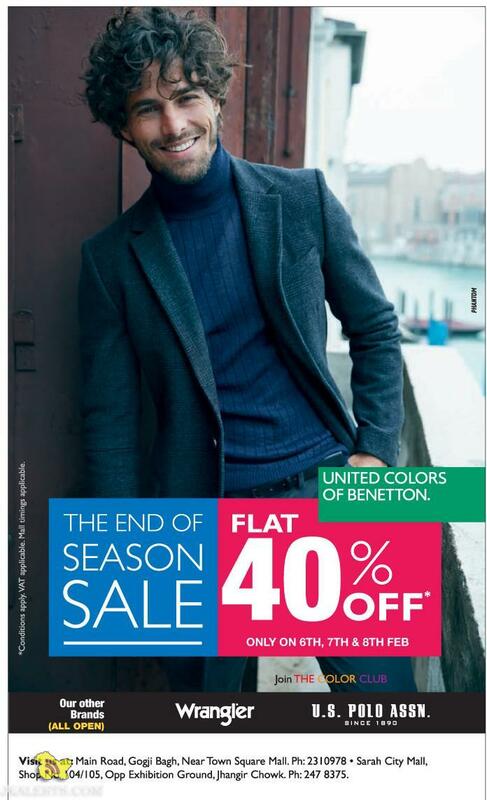 The End of Season sale Flat 40% Off Visit us at: Main Road, Gogji Bagh, Near Town Square Mall. 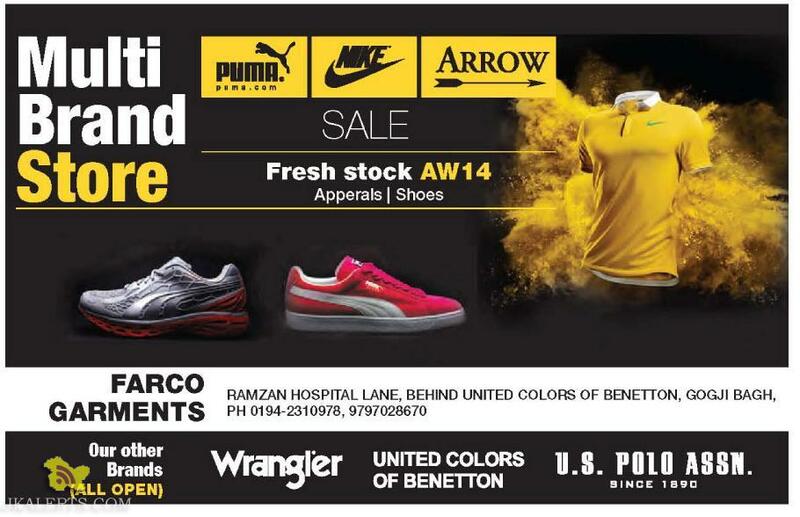 Ph: 2310978 Sarah City Mall, Shop No. 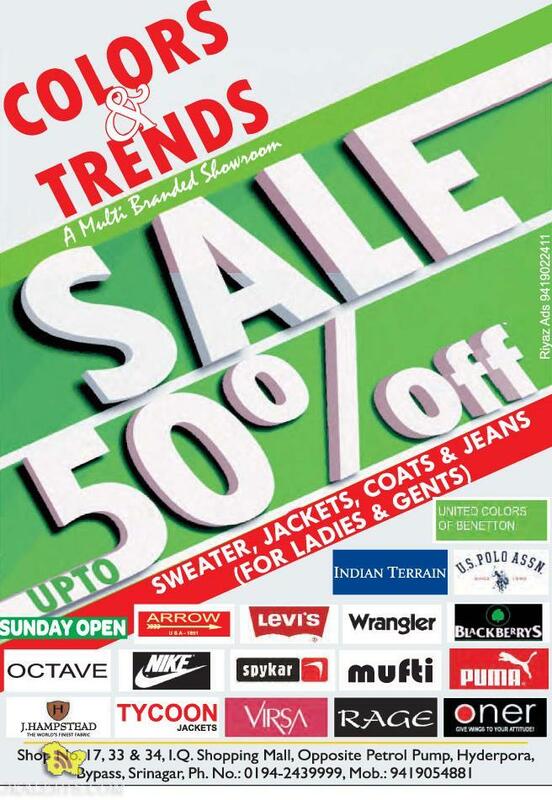 104/105,0pp Exhibition Ground, Jhangir Chowk. 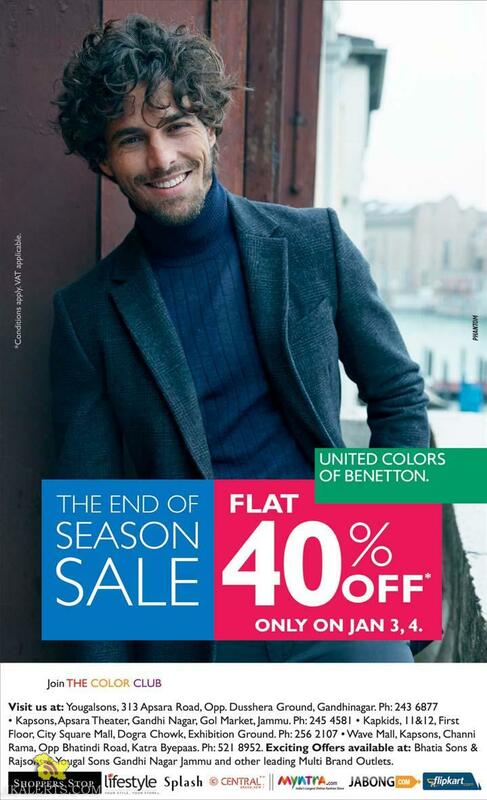 Ph: 247 8375. 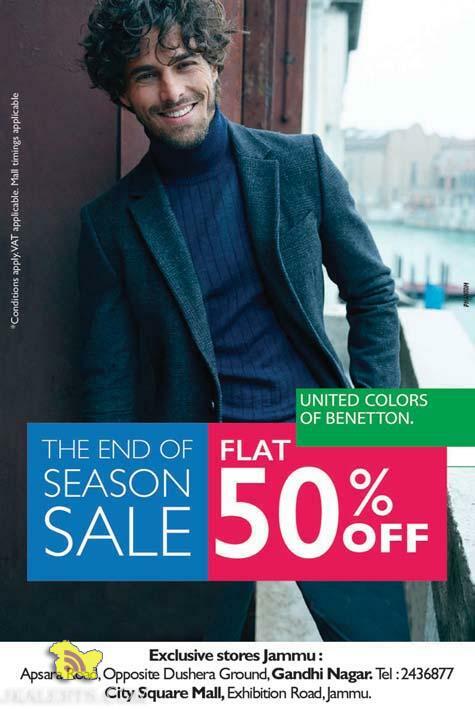 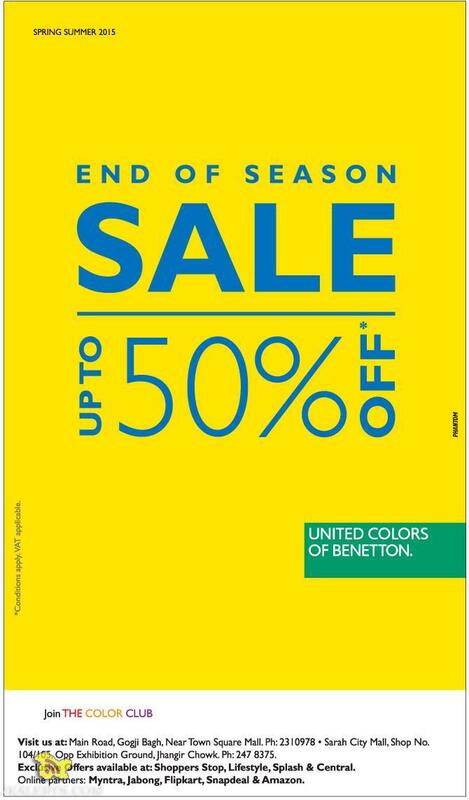 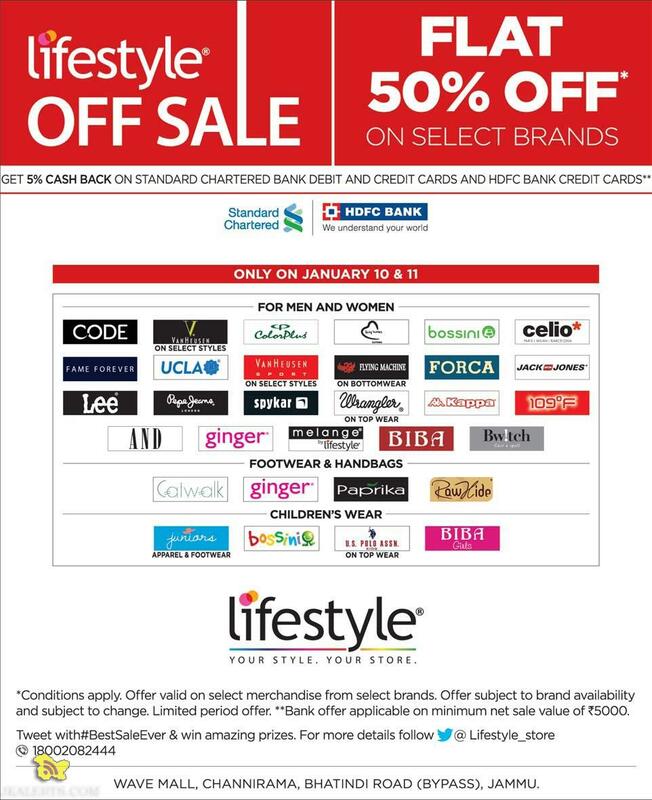 United Colors of Benetton End of Season Sale Flat 50% off Exclusive stores Jammu: Apsara Road, Opposite Dushera Ground, Gandhi Nagar. 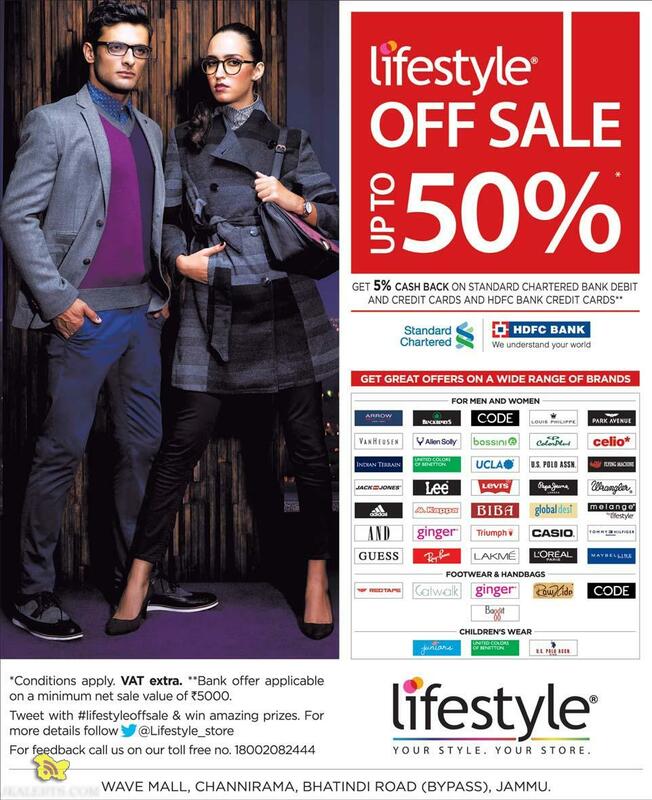 Tel: 2436877 City Square Mall, Exhibition Road.Jammu.